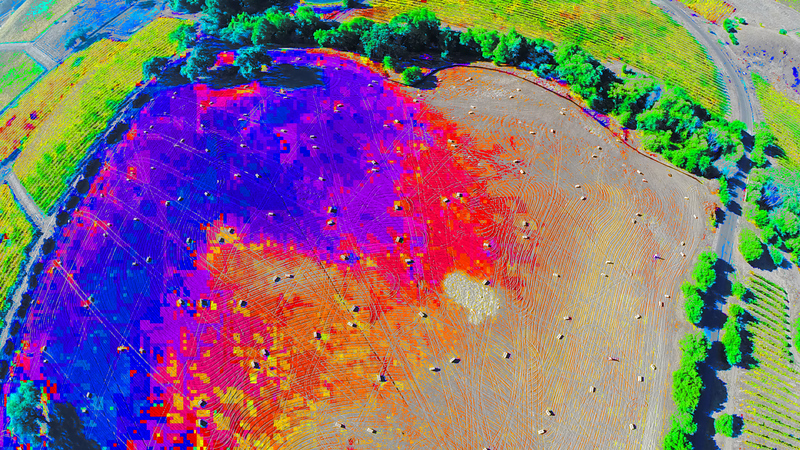 We’re excited to launch the newest facet of our business at Aerial Photo Media: NDVI and Infrared footage. 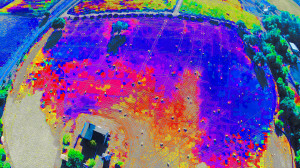 The NDVI and Infrared footage shot with drones by Aerial Photo Media will primarily be used for agriculture purposes, specifically vineyards and for the vintners & vineyard managers that handle the landscapes. With the drone industry evolving so rapidly, we decided to take a leap in to a new venture outside of marketing and so far it’s received great praise. 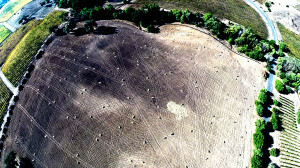 NDVI is an acronym for Normalized Difference Vegetation Index. Essentially it’s a resource to apply values to a spectrum of colors in what looks like an infrared format of footage. By using this footage and applying the values to different areas of the footage, the end user can decipher vigor or chemical make up of the contents in the footage. 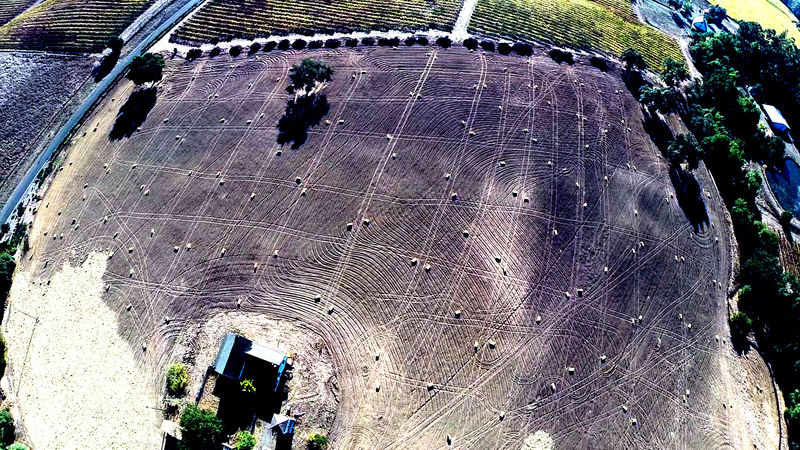 Our first project was mainly used to showcase soil composition in a newly uprooted fallow vineyard in the Los Carneros region of Napa Valley. We utilized the footage in a semi NDVI format to showcase the variance between firm rock, clay, and loose gravel all within the same few acre vineyard site. The vineyard management team had no idea that the small lot of vines had such a variance in soil when the uprooted the vines. Their goal was to decipher exactly what was going on in the soil before the decided what to grape varietals to replant. After all, soil types play a huge role in the wine production process. Take a look at some of the photos below to see what the footage looks like. If you’re interested in booking our services for a similar project, email Darren@Aerialphotomedia.com for details. While this new facet is very new for Aerial Photo Media and we’re still in the stages of organizing the application of the footage and how the color schematics can be varied and applied, we would love to hear from those in the agriculture industry. Feel free to reach out anytime!